Internationally renowned primatologist, Dr Jane Goodall DBE has spoken out against the suffering of primates at the Max Planck Institute for Biological Cybernetics (MPI) in Germany. Dr Goodall’s call follows the joint investigation carried out by the BUAV and Soko Tierschutz at the MPI Tübingen facility in 2013-14 which uncovered the shocking use of primates for basic research into how their brains process information. Harrowing video footage filmed during the investigation featured on Stern TV and has caused a media and political storm. In Germany, there has been extensive media coverage of the investigation, causing public outcry and leading to calls for the local government of Baden Württemberg to take action against the facility. The investigation revealed the immense suffering of primates, who were forced to take part in experiments through the use of severe water deprivation and physical and psychological coercion. The monkeys were subjected to major surgery to implant head posts and/or head chambers into their skulls; many suffered bruised and bleeding head wounds. During the experiments, the water deprived monkeys were imprisoned by their necks in devices – with their heads held rigid by a surgically implanted post – inside dark, silent chambers and forced to carry out mundane tasks over and over for up to five hours a day, five days a week, month after month, in order to receive a small fluid reward. 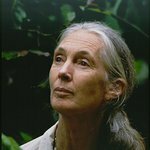 Dr. Jane Goodall, founder of the Jane Goodall Institute and UN Messenger of Peace, told the BUAV: "I have just watched the video footage of experiments involving implantation of some kind of device into the brains of rhesus macaques at the Max Planck Institute for Biological Cybernetics in Tübingen, Germany. I have seldom been as sickened by any experiments – and the fact that this “basic research” was carried out under the auspices of an institution as highly respected as the Max Planck makes it even more shocking. In fact I cannot understand how permits were granted to conduct experiments that can lead to the kind of suffering depicted in the video. I certainly hope that this research will be stopped, immediately, and the monkeys removed from those responsible for these unethical procedures. In addition they should be provided with some relief for their obvious suffering." The BUAV and Soko Tierschutz, have submitted a full report to the Regierungspräsidium Tübingen, the local authority responsible for licensing the primate experiments. The animal organisations have argued that, because the researchers at the MPI failed to provide sufficient and accurate information about harms and benefits and alternatives, the authority in Tübingen had failed to apply the legal tests required by the legislation before granting licences for the primate experiments.